The award-winning Okuma Epixor XT offers a quality build and a load of features at a very affordable price. The build includes Okuma’s C-40X long strand carbon fibre technology, which is substantially stronger than standard graphite. At 25% lighter, 50% stronger and 100% anti-corrosive, the Epixor’s body, frame and side plate are extremely lightweight and durable. 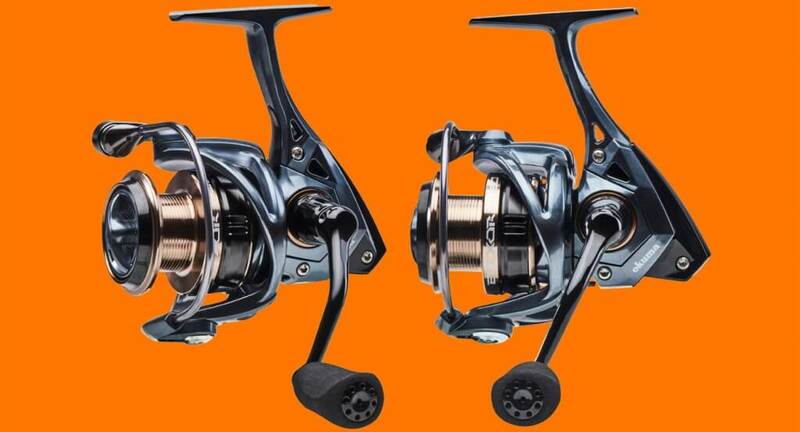 Other features include rigid metal handle design, machined aluminium, 2-tone anodized spool with LCS lip, heavy-duty solid aluminium bail wire and TCA (Torsion Control Armor), a C-40X double arm design that encases the body of the reel, offering higher torsion and flex resistance under heavy pressure. Smooth performance is based on 7BB+1RB stainless steel bearings, quick-set anti-reverse bearing, RESII: Computer Balanced Rotor Equalizing System, CFR: Cyclonic Flow Rotor and slow oscillation for improved line lay. With models to suit everything from bream and bass to barra, mackerel and snapper, the Epixor XT is backed by Okuma’s 10 Year Warranty.